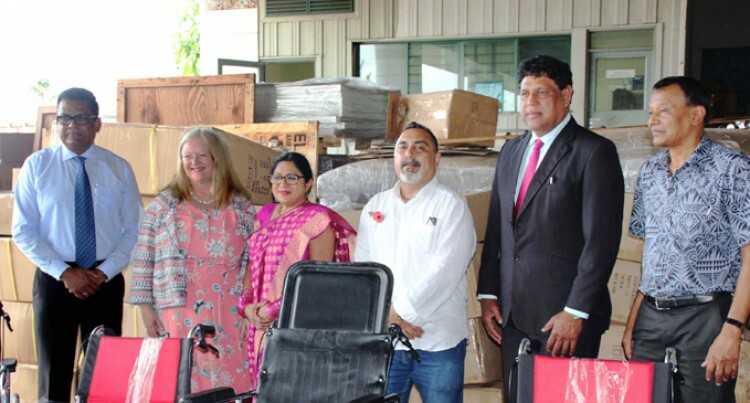 The Ministry of Health and Medical Services received 114 wheel chairs worth $175,000 from the Saroj Care Fiji Limited in Suva on Thursday. Saroj Care Fiji Incorporated (SCFI) is a newly registered charity that provides assistance and relief to the poor and needy in Fiji. While accepting the donation, Acting Permanent Secretary for Health and Medical Services Bernadette Welch, said the wheel chairs were resilient and could handle rough terrains. “The Ministry of Health and Medical Services is grateful to the Saroj Care Fiji for their timely donation and we look forward to strengthening collaboration in the future as well,” she said. Ms Welch acknowledged Fiji’s High Commissioner Yogesh Punja for meeting transportation costs for the first container of wheelchairs to Fiji. The wheelchairs will be accepted by the Ministry of Health in Fiji who would then distribute them,” she said.